An absolute loyal pawn himself, Michael Pagani has help breed a legion of loyal pawns behind the doors of Joker's Skateshop by wielding his bloodsucking influences as the shop's overlord. This legacy of brainwashing is purely instinctive, being that Jokers is located within the birthplace of Toy Machine. Indeed, Michael is a veteran skate rat building and contributing to the legendary skate scene of Huntington Beach. He is a key component in our brainwashing efforts, so we delved into the mind of Michale Pagani and returned with this Loyal Pawn interview and Top 5 Q's about the HB skate scene. How long have you been pushing on 4 wheels and 7-plys? I started skating in 1991 when I was five years old. My first board was a SMA Mike Conroy Crystal Ball deck. How many years have you been slave driving at Jokers? I’ve been working at Jokers as the shop manager since we opened in 2006, this December it will be eight years. Currently, I run the day to day tasks as well as all the purchasing, shop website, and shipping of online orders. Running a skater owned and operated skateshop is really a labor of love and I look forward to going into work everyday. You're a quite an ambitious skate rat. We've called the shop in the past and there was talks of receiving a higher education. I am about to graduate with a Business Management degree from California State University Long Beach. When I am not working at the shop, I’m at school so finding time to skate these days is sometimes hard. After I graduate this spring, I plan on traveling for a while and figuring out what I want to do with my life. My goal is to be able to apply my knowledge of running a skateshop and use my business degree to hopefully find a job somewhere in the skate industry. Things you do at Joker's. 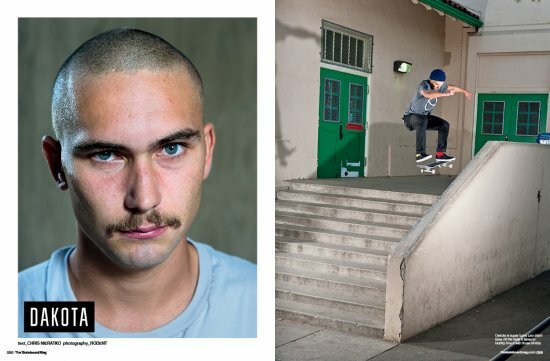 Jeremy Leabres on the cover of Thrasher Magazine! Congratulations to Jeremy Leabres nailing his very first magazine cover! Front blunt through the kink...a face melting experience, indeed. Witness this in motion picture format on October 17th when the "Re-Education of Jeremy Leabres" premiers exclusively on thrashermagazine.com!! 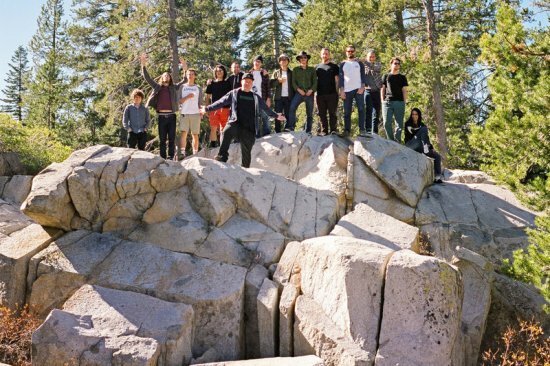 The final episode Huck Magazine's series hanging out with HUCK#46 cover star Ed Templeton at his home in Huntington Beach, supported by Emerica.